Inge graduated in Belgium in 2006. After her Veterinary degree, she did an Internship in Internal medicine at Ghent University. In 2011 she became a Specialist in Equine Internal Medicine (ECEIM, European College of Equine Internal Medicine). Between 2011- 2017 she worked at Evidensia Equine Hospital at Strömsholm. 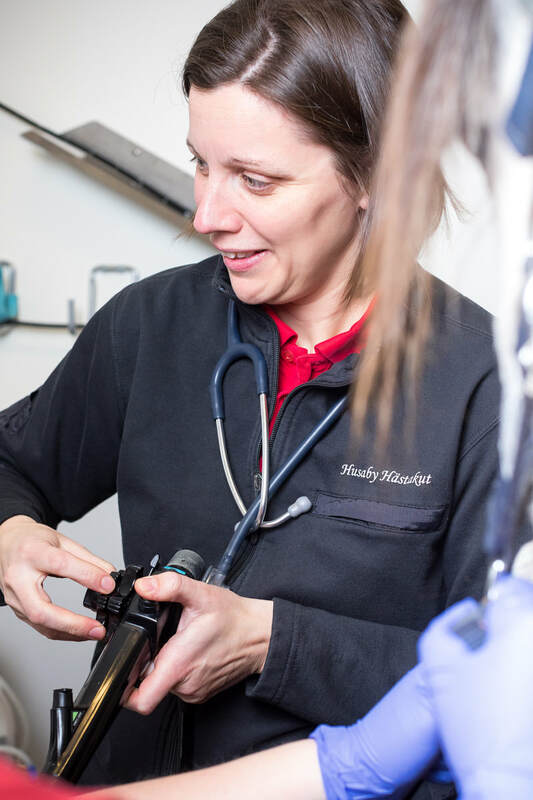 Since October 2017 she runs a consultancy in Equine Medicine, called Vetspecialist. She is consulting among other places at Husaby Hästakut in Skara. Her special interests are: Cardiology , Neurology, Urology and Gastroenterology. Her spare time is spent with her family.